Once anything gets big enough, some myths are bound to crop up surrounding it. 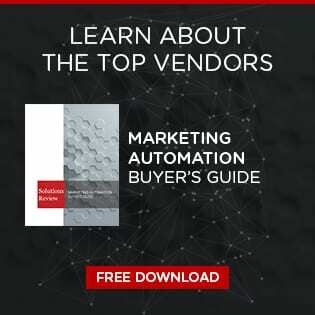 Marketing automation is no different. There’s a lot of misinformation and “fake news” out there about marketing automation. How does the intrepid martech professional cut through all the marketing automation myths to get to the truth? With a little help from the pros, that’s how. Actually quite the opposite. Most automated solutions require a fair amount of human interaction to actually hit their full potential. The solutions can’t write up email templates, it can’t develop contact lists on its own, and it certainly can’t create engaging and inviting landing pages. Sure, there may be a time where marketing solutions are 100 percent autonomous and require no human effort whatsoever. But until we hit that fantasy and/or nightmare situation, marketers still have some work to do, even with an automated solution. Maybe this was true once upon a time, but the market has matured a lot since this was the case. Nowadays, most software comes with detailed instructions as to its use, along with vendor representatives to walk users through problems that arise. Most of the front-facing software is actually very streamlined at this point because providers need to be competitive in the space. Price is still a variable to be considered, granted, but there’s so much variety in the market that you’re sure to find a product that’s within your price range. Again, this is actually pretty far from the truth. Marketers associate automation with those spam emails everyone hates, but in reality the emails sent from an automated system have the potential to be some of the most valuable. The automation behind a solution will be able to parcel out details about a lead (like what they’re clicking on in a message, their position, etc) and, in response, send them an email that is personal to them and contains content that will appeal to them. The best part? This functionality is pretty commonplace in the market. Any software worth its salt is going to have it. Not even close. Naturally, we’re pretty big fans of marketing automation around these parts, but it alone is not enough to solve every marketing problem you have. Marketing software automatically performs tedious tasks that you were already doing, freeing up time team members may have spent on them. But that’s the thing: you need to be doing those things in the first place. The software can’t tell you how to do your job. So unless your only issue is that boring housekeeping work isn’t getting done fast enough, a solution can’t solve all your woes on its own. Well it certainly can be, and there is some truth to this one. Low-effort automation efforts certainly come across as impersonal and robotic. But by the same logic, low-effort marketing in general seems impersonal. Putting in the effort to make your leads feel valued is going to go a long way. There’s a surplus of options for them out there, so your marketing, automated or not, needs to make the customer feel that your company is worth their time and money. Next Next post: Lead Scoring & Segmentation vs. Lead Nurturing; What’s the Difference?